Welcome to my monthly wrap-up post for February, a time when I reflect on the month that has just passed, review what I’ve achieved and set my goals for next month. February flew by as usual and I feel like I achieved next to nothing!. I had one week off work and I had great plans to fill it with lots of blogging, reading, writing, quality time with my husband and fun family activities. Unfortunately, my little girl was ill and very miserable all week so all of our plans went out of the window and although I enjoyed all our cuddles and was very happy I could be there for her, it was really sad seeing my bubbly little girl so unhappy. She perked up just in time for us to go back to work, which was typical really. This last week, we had lots of snow and I nearly got stranded two and a half hours from home. Lots of trains were cancelled and mine stopped a few times due to the doors freezing open or the points on the track having to be defrosted, but I finally made it home safely. I was separated from my family for a couple of days because they were stranded at my mother-in-law’s house (the roads were all blocked with snow drifts). It was hard as it’s the longest I’d been away from Leona and I was so happy to be reunited with them both on Thursday. On the positive side, I did enjoy making pancakes for Shrove Tuesday and my husband and I did manage to watch a few films together this month. I also did a fair bit of blogging and I started bullet journaling, which has been really fun. Overall, February didn’t really go to plan but we made the best of it and it worked out okay. Comments: 124. Guys, I can’t express how much it means to me that you’ve all been visiting and chatting on my blog. I really appreciate it! New followers: +3 on Feedly, +9 on Twitter, +4 on Google+ and +2 on WordPress. Thank you to each and every one of my new followers. You guys are awesome! Books read: 2. I know this is such a small amount compared to most book bloggers, but I’ve been in a reading slump for a long time and really struggling lately to make time for it. Two is actually an achievement for me, so I’m pleased. WiP words written: I’m not sure exactly because I’ve handwritten some and not typed it up yet. But I’m guessing about 3000 words. Bullet journalling: I started a bullet journal and I’m teaching myself fancy hand-lettering. I’m hoping to do a series of posts about this soon. Baking: I made a lot of pancakes last month! I can’t get enough of them. I love mine with lemon and sugar. How do you like yours? Films watched: I watched Logan’s Run on DVD (retro and fun) and went to see The Maze Runner: The Death Cure at the cinema (action packed and a good end to the series). Oh, and I watched a Winnie the Pooh DVD called ‘Springtime with Roo’ approximately 5976 times #mumlife. TV shows: I’m currently watching Call the Midwife and Silent Witness and have been rewatching one of my favourite anime series-Ronja the Robber’s Daughter. I have no sign-ups for this yet, but I really want to make it a success. Please join me to celebrate my blogversary next weekend? How was February for you? What are your goals for March? « Book Blogger Hop (4) Do you use a mousepad? Ooh congrats on all the comments and stuff! 🙂 And glad to hear your daughter’s feeling better. I have no idea why this comment posted twice! Oops! Lol. Whoa, what winter shenanigans you had to deal with. Ooo, the Bullet Guide looks good. Coincidentally, I have been thinking of Logan’s Run. I plan on reading it before doing a rewatch. Yeah, I’d like to try the book too, as the film didn’t answer all of my questions. Wow, it sounds like a busy month. Sorry about your daughter being sick, and about you getting stranded. Those pancakes look sooo good. I hope you have a great March! It was! Thankfully my daughter is fine now and the weather is looking better. March is going well, hope yours is too. The 365 bullet guide was really helpful to me for setting up my new bullet journal, it had lots of tips and tricks and doodles you can copy, etc. Mmmm, not tried pancakes with butter and maple syrup but that does sound really good. The Spring Clean Your Soul Blogfest is basically all about doing something creative that makes you happy. You can find out more about it here. Hey, two books is more than nothing ! I only finished one myself so heh .. 😡 and to be fair february IS a shorter month .. 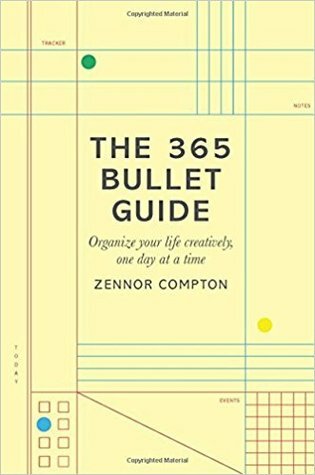 I like how “365 bullet guide” sounds like.. I might need to check that one out! Also .. what is “Spring clean your soul Blogfest” will be like ? im kinda interrested ..